"Nancy and I would like to express our appreciation for the wonderful work that you and Taylor have done installing the Teak hardwood flooring throughout our home. The workmanship and attention to detail is absolutely outstanding. We couldn’t be happier; please use us for future reference to interested parties. Thanks again and continued success to you and Dust Free Sanders." 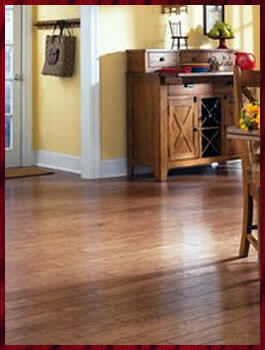 "I just wanted to thank everyone at Dust Free Sanders for the great job on my hickory floors. The “TRAFFIC” finish looks great and we had no mess to clean up. I would be more than happy to be used as a reference." "Thank you for the wonderful job refinishing the floors at our lake home. As David said, it made the cabin look “friendly, warm and happy.” We appreciate your professionalism at your work." "Thank you for our beautiful Red Birch floors! I appreciate all you’ve done and will continue to refer your company."